Being a family business, we want you to feel that your needs are being met, that you receive service in a timely manner, and that you can feel free to contact us at any time. You can be assured that your comfort and concerns will be given personal attention by people who know and care about your needs. Ashland Propane is going on 30 years experience in the propane industry. Service is tailored to your needs. Your questions are answered by people, not by automation or computers. Personal consultations are available to meet at your home to determine tank placement. At Ashland, safety is a priority. Your system is checked for leaks by one of our professionals. Any repair recommendations and safety information is then provided to you. Every customer is provided with safety literature each time a delivery is made. All of our drivers receive ongoing safety tranning. All of our equipment is well maintained. 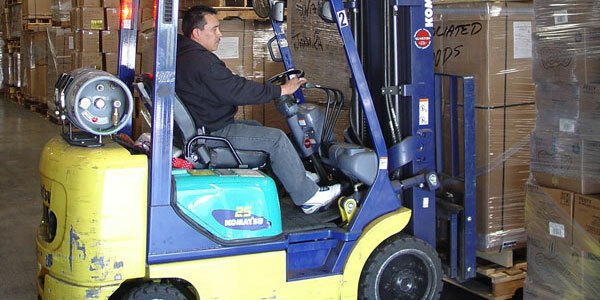 Ashland Propane was founded in 1983, to specifically deliver propane to forklift customers. As the company has grown, we have expanded into all areas of propane delivery. In addition, Ashland has one of the most modern plants around, equipped with handheld computers and other technology to stay ahead of the curve. Our experience, backed by superb facilities and coupled with our focus on safety, service and stable pricing makes Ashland a wise choice for servicing your propane needs. From daily delivery to once a month deliveries, we give the same caring service! We have some of the most reliable service in the business. Our main facility is one of the most modern propane plants in the country. All of our drivers are well experienced in the propane field and will help answer any questions you may have. We offer a variety of equipment to meet your needs. Tank sizes rang from 5 lb. to 1000 gal. We also offer a variety of heaters. Please call for more details. In our 30 years of experience, we have strived to find new and improved methods to better serve our customers. To ensure safety we use top of the line equipment and check all gas piping and equipment at your site. We also provide on-site safety training for anyone working with the propane. More than 660,000 farms (over half of all farms in the US) use propane because of its cost effectiveness, safety, efficiency, convenience, portability, and environmental friendliness. Consumption of propane by farms has increased substantially over the passed 15 years, and the agriculture sector is now the third largest retail propane market in the U.S., consuming more than 1.5 billion gallons per year, or 10 percent of the total demand. Propane’s cost-efficiency and reliability helps farmers keep productivity high and operating cost down. Drying is a process that prevents the deterioration of perishable crops and allows for handling, transport, and storage of food products for sale outside the community where they are grown. We offer all the propane equipment to meet your crop drying needs.